With winter slowly leaving us and the hope of a bright and cheerful spring, it seems only appropriate to begin to decorate our homes for the long awaited sunny season. There are so many gorgeous colors for us to choose from, and we don’t always know what style and theme we are looking for. So this is why I have created a list of this season’s top spring colors, along with a few simple but effective design features to make your home look and feel like a happy haven. My unpredicted favorite color, which has decided to grace us with its presence this year, is green. Emerald green has been given loads of attention over the past year. However, it’s time to put a new spin on green and opt for a new shade for this season, Mint. This beautiful color, which doesn’t require a lot to stand out, has solely become our new favorite color for this spring. Considering my love for anything neutral, my passion for cream is rapidly disappearing, and in its place are bright pops of color like green, blue, and yellow. Now this doesn’t mean I will paint my whole house in this shade. Why not try a statement wall with one of these three colors or opt for bright accessories. This will provide just enough to make your home stand out, but not so much you feel like you’ve taken a step back into the 70s. I have always had a love for a gorgeous set of curtains, and in my opinion, there’s nothing better than when they fall to the ground in a beautiful pleat. However, lately my opinions are changing. Despite my love for curtains still being strong, they have been taken over by my passion for a set of bright and cheerful blinds. Now that spring in around the corner, we want to embrace the beautiful bright mornings. Blinds are the perfect opportunity to do so. However, if mornings aren’t your thing, you can still opt for a set of black out blinds in your favorite spring shade, but with the effect of a set of lined curtains. I have recently installed a set of gorgeous blue vertical string blinds to my white and blue home. They are just enough to add a pop of color without it looking over the top. Accessories are the perfect opportunity to add personality to your home. If you’re not ready to take the step into bright walls and blinds, you can still change the whole look of your home by accessorizing. Bright cushions, rugs, and table decorations have the ability to change the look of your home with minimal effort, and if you are anything like me, small touches really count. 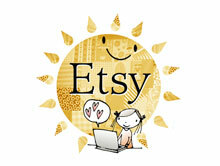 So invest in little trinkets, wicker baskets, and beautiful wall hangings. Just because we don’t live in the Hamptons doesn’t mean we can’t make our homes look like we do. If you’re moving into a new place or lived in your current one for a while, chances are that you’ve felt the urge to redecorate from time to time. After all, why should you have to live with that hideous mural from the last owner or keep the couch at an uncomfortable angle from the TV just to make the fireplace the focal point of the room? These day’s most are not allowed fireplaces due to regulations of smog. For most this problem has been resolved by the wall fireplace Pros that are available for hire. For the rest of the house however, it’s up to us and we can mess up bad! But be careful before you just randomly start making changes or you might find yourself longing for those bad old days before your DIY instincts took over. Here are several of the most common decorating mistakes that people make. When decorating, too many people feel like they can spend whatever they want as long as they don’t make big-ticket purchases. For example, they’ll buy 100 things under $100, but refuse to pay $1,000 for one great sofa or coffee table (which, admittedly, would have to be a pretty fantastic coffee table at that price). Unfortunately, what happens is that these people end up with lots of thatches or mismatched odds and ends – clutter without any use, or (to go back to the heading) a burger with lettuce, tomato, and all the trimmings, but no patty. Before you look for accents, go for the big, important things you need. No one should ever paint – ever – without first doing a small test patch to see how the paint really looks in the room once it’s dry. What if the light in the room makes it seem different? Or if it ends up clashing with the furniture? Be safe and paint a small area first so you’re not going in blind or you might regret it. You wouldn’t want to be seen hugging your toilet, would you? Then why would you want a rug that’s doing it? 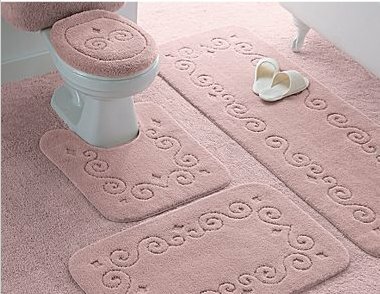 Instead of buying one of those toilet rugs that is cut to fit around the base of your toilet (to hug it! 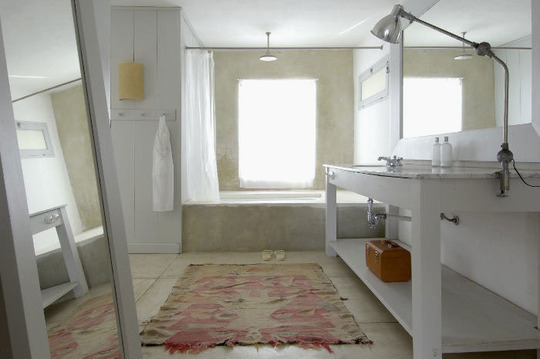 ), opt for a simple rectangular rug that lives on its own island away from the toilet for a classier look. There is a serious lack of lighting in many homes, and this can be frustrating if you keep bumping into your furniture as soon as the sun goes down. Be careful about adding overhead lighting that’s too bright, though, because it can end up feeling like you’re under a spotlight. That’s not to say that you should avoid overhead lighting entirely, but that it helps a lot if it is softened with some sort of diffuser and your lights are on a dimmer. Just because you’re a photo person doesn’t mean that you have to have dozens of loose frames sitting everywhere, because all that creates is a cluttered mess. Buy a photo album or if you have to display your favorite pictures, group them together in an artistic design on the wall instead of having them live all over your tables and mantelpieces. Sometimes you have a room that will look better if you arrange the furniture in a particular way… but it keeps you from using the room the way you want. Function should always come before form, so if you plan on entertaining friends, group chairs and couches around tables so that chatting and playing games is easy. Or if you’re designing a TV room, do what you can to arrange things so that it becomes the focal point.